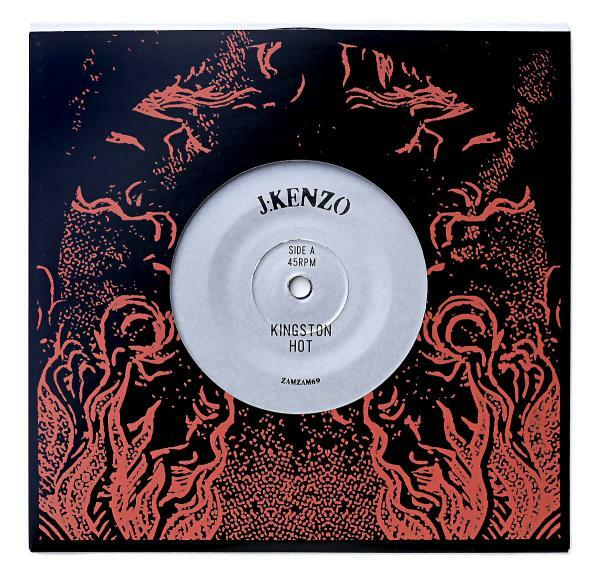 J:Kenzo is a certified don of contemporary sound system music, whether dubwise or otherwise, 140 to 160 and beyond. Kenzo is a highly respected label head (Artikal Music UK & Lion Charge Records), heavyweight producer, master disc jockey and host of one of the most passionately-followed radio shows in all of dubstep on Rinse.fm. Needless to say we are thrilled to build with him once again. Absolute control over sound design, timing, tension and dynamics mark all of Kenzo's productions, and the pair he delivered for his second ZamZam are no exception. Where his first release was a more meditative affair, ''Kingston Hot'' and ''Concrete Jungle'' both revel in a harder, darker vibe. "Kingston Hot'' enters rocking a sleigh bell riddim and builds quickly into a stormer that has been pummeling crowds worldwide on dubplate with support from the likes of J.Sparrow, Mala, and Headland to name just a few. At once spacey, sultry, heady, and menacing it's both eyes-down and hands-in-the-air material, all bass weight and reverb space, with every flick of the wrist in the mix another reason to recognize that the man's stature in the world of bass music is well-earned. Concrete Jungle's thinned intro kick, spare hand drums, and paranoid minimalist melody set the stage for a hard 140 stepper composed of a sidewinding, distorted bassline, smeared snares and panned percussion that drives deep into primal sound system territory. Frequent sparring partner in the live arena Sun of Selah makes a guest appearance on the mic with a single dread declamation that perfectly captures the tone of the tune, a gritty vibe that feels like swaggering through a near-future urban wasteland on the way to a dance that may not be much safer than the streets.